Rotary’s primary function is the development of the individual, Service Above Self and the Four-Way Test being its creed. As a result of the work that has been done in this connection, a majority of the presidents of the Gadsden Chamber of Commerce, and leaders of the United Way Fund, have been selected from the Gadsden Rotary Club. The club has provided leaders of virtually every phase of community endeavor. 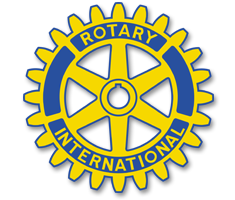 Rotary has representation in all the major industries, professions and businesses.